Preheat oven to 350 degrees. Line cupcake tins with cupcake papers and set aside. In a small place butter and powdered sugar stir until combined, add coconut and stir until it all comes together. Using an apple core, “core” out a hole in the center of each cupcake. Using your fingers roll a little bit of your coconut filling in your fingers and stuff into each cupcake. In a medium bowl sift together powdered sugar and cocoa powder, set aside. In bowl of mixer cream butter until smooth. Once smooth gradually beat in your powdered sugar and cocoa mixture alternately with evaporated milk. Blend in vanilla. Beat until light and fluffy. 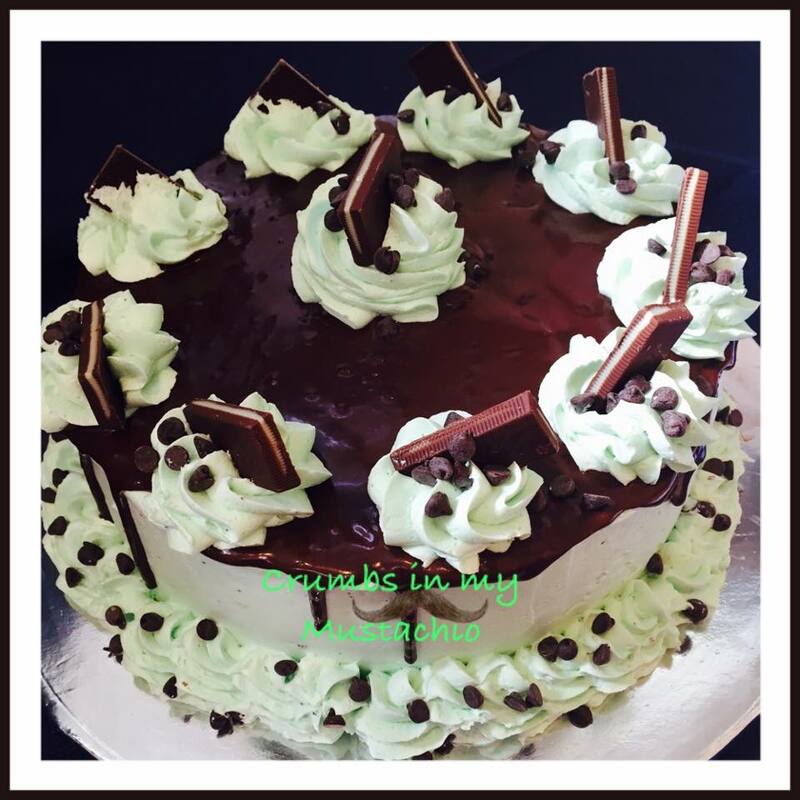 Fit your piping bag with tip and then fill with milk chocolate buttercream. 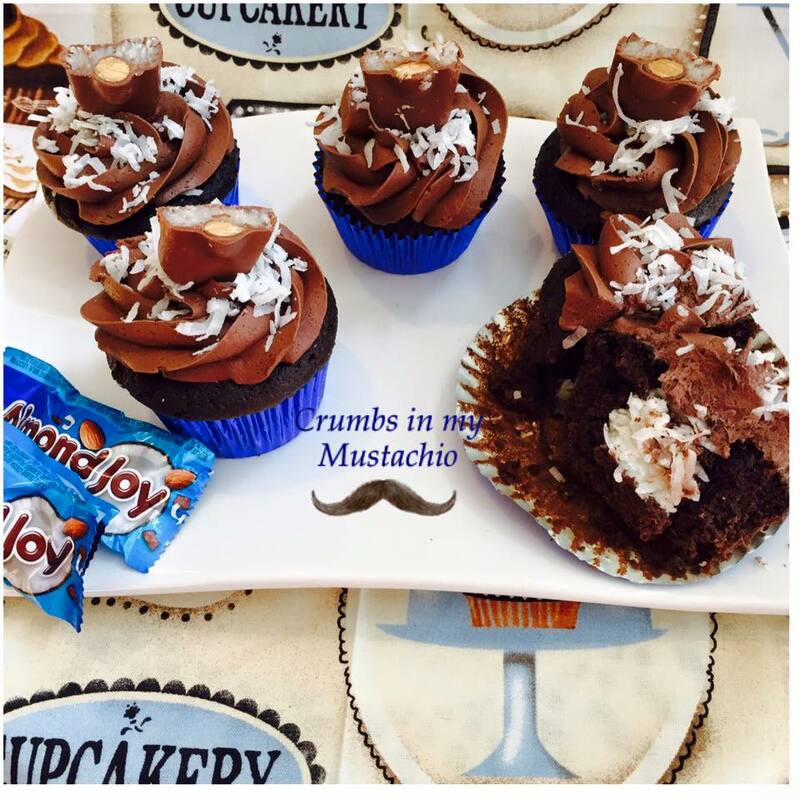 Pipe frosting onto cupcakes and then sprinkle coconut and top with almond joy candy bar. Melt Chocolate Chips in microwave safe bowl, stir until smooth. Place chocolate into a sandwich bag and pipe into ice cube tray. Insert spoon. Place tray into fridge and let set. 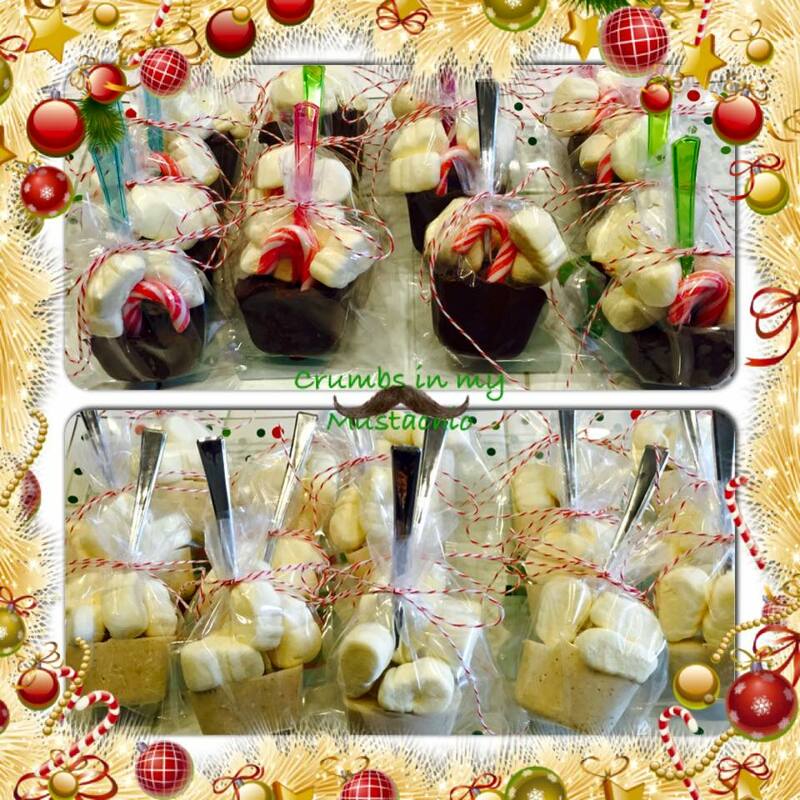 Once set “pop’ each one out and place into lollipop bag, Add a few marshmallows and tie with a little bakers twine. In a medium bowl place melted butter and powdered sugar. Add coconut and stir till it is combined and comes together. 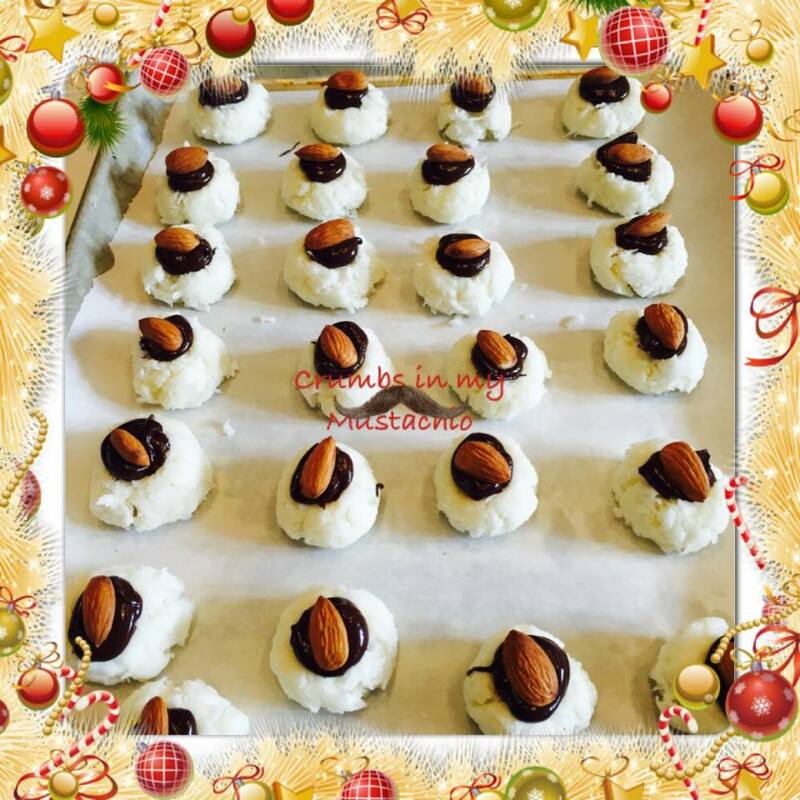 With a cookie scoop, scoop out and roll into balls. With the back of a small spoon make “wells” into each ball slightly pressing down. Set on parchment paper. In a small sauce pot place chocolate chips and butter. On low heat melt chocolate chips and butter stirring till smooth. Remove from heat and stir in corn syrup. Let set to cool or 10 minutes.